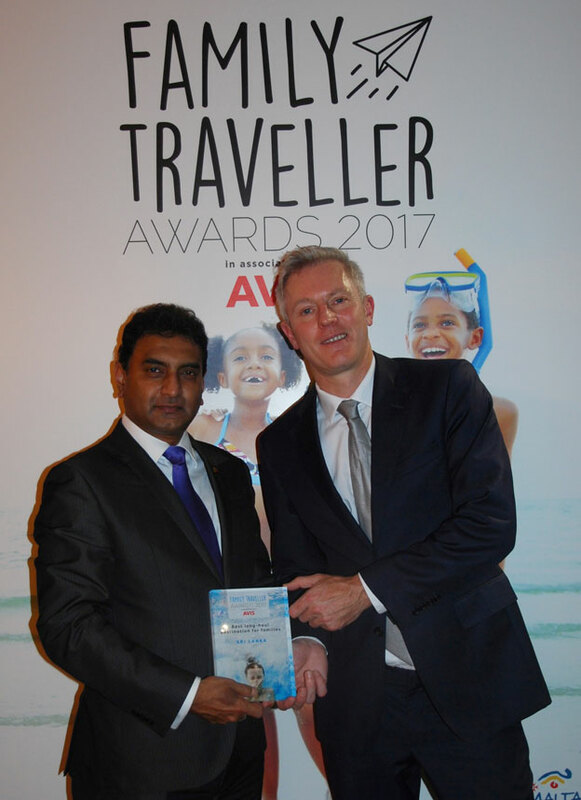 The Family Traveller Awards 2017 attracted a record 45,000 votes from the popular magazine and website’s readership this year demonstrating just how important a sector this is for the UK travel industry. Over 2300 companies were nominated and 240 were shortlisted for 20 categories with the winners announced at a buzzing awards ceremony in central London last night. Readers voted on every element of a family trip from the transport to the tour operator and from the accommodation to the kids’ club. The results clearly showed parents are looking for active and culturally enriching holidays over and above lazy fly and flop options. Holidays designed to enrich the lives of children are becoming increasingly popular signalling the demand by parents to use the time together as richly as possible. Hotels are improving their facilities and services for families, and kids’ clubs are increasingly focusing on providing its mini members with local and cultural experiences inside and outside of the hotel property. The panel of judges consisted of a range of travel experts, including: Jane Anderson, editor of Family Traveller magazine; Simon Reeve, BBC presenter; Mariella Frostrup, BBC Radio 4 presenter; Sue Ward Davies, travel director of ELLE and Jane Knight, travel editor of The Times. Short lists of every category were then put to the public vote. Family Traveller has made its mark as the trusted authority on family travel in the UK. Its website and magazine are the first port of call for parents looking for inspiration and information whether that’s on a day trip to London or an adventure on the other side of the globe. This year this popular brand has expanded to launch in the USA both online and in print. 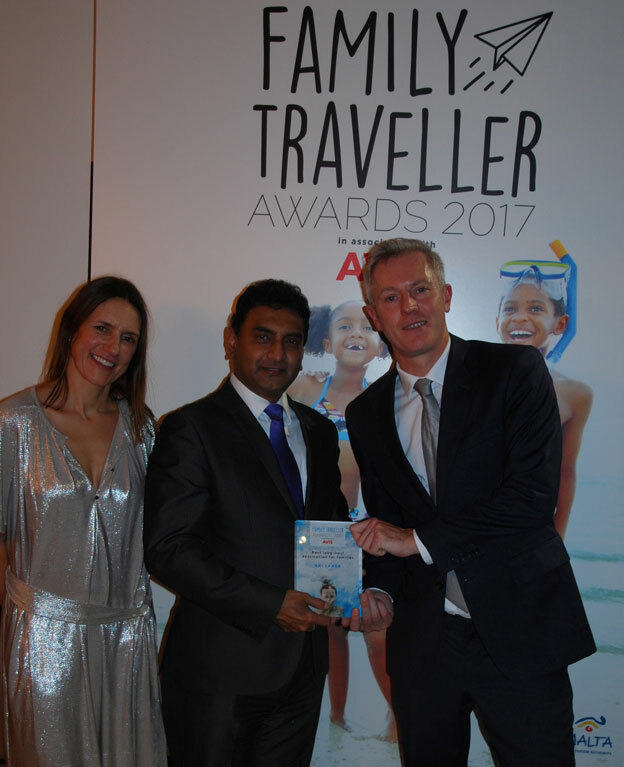 Now in its third year, the Family Traveller Awards 2017 were supported by three great family friendly brands, AVIS, The Malta Tourism Authority and Kodak Pixpro. Best Family Ferry Operator – Winner: Wightlink. Runner Up: Brittany Ferries. Best Family Cruise Line – Winner: Royal Caribbean International. Runner Up: Norwegian Cruise Line. 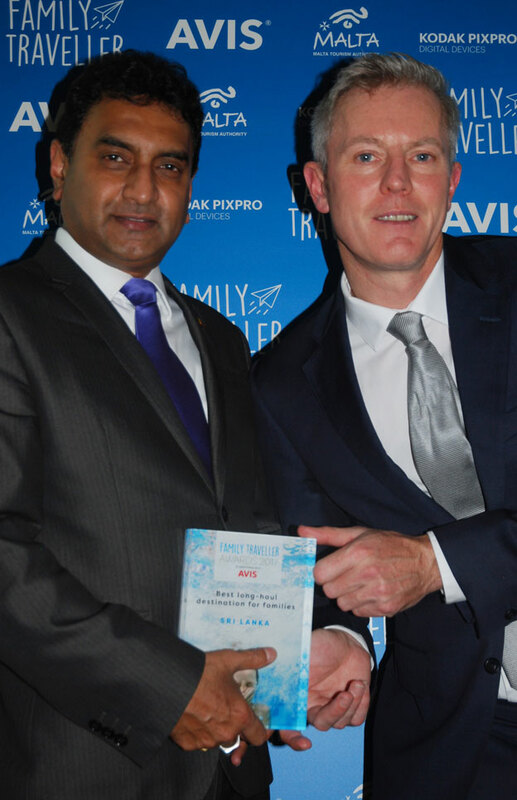 Best Family Airline – Winner: Emirates. Runner Up: Virgin Atlantic. Best Family Festival – Winner: Camp Bestival. Runner Up: Elderflower Fields. Best Family Theme Park – Winner: Universal Studios, Florida. Runner Up: Dreamland Margate. Best UK Day Out for Families – Winner: Warner Bros Studio Tour: The Making of Harry Potter. Runner Up: The Natural History Museum. Best UK City Break for Families – Winner: Edinburgh. Runner Up: Plymouth. Best UK Region for Families - Winner: Cornwall. Runner up: Dorset. Best UK Hotel for Families – Winner: Luxury Family Hotels. Runner Up: Center Parcs. Best European Hotel for Families – Winner: Sani Resort, Greece. Runner Up: Martinhal Family Hotels & Resorts, Portugal. 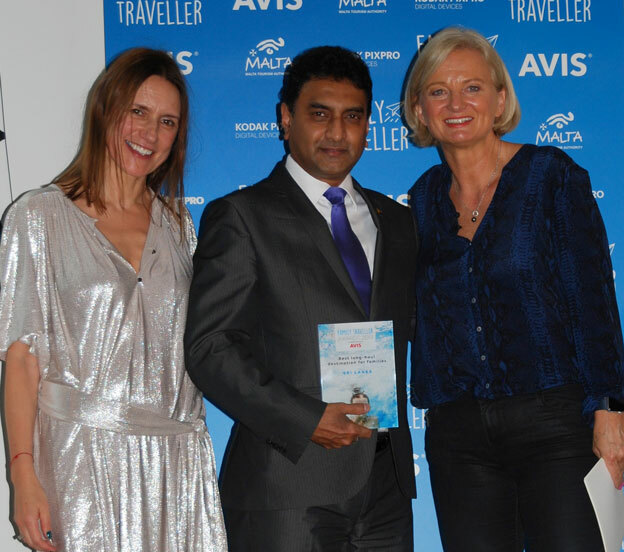 Best Long-Haul Hotel for Families – Winner: Shangri-La’s Villingili Resort & Spa, Maldives. Runner Up: Lux* Resorts & Hotels, Indian Ocean. Best All-Inclusive Holiday for Families – Winner: Club Med. Runner Up: Hillside Beach Club, Turkey. Best Holiday Rental for Families – Winner: Ready Camp. Runner Up: Tredethick Farm Cottages. Best Kids’ Club – Winner: Costa Navarino Scott Dunn Kids Club, Greece. Runner Up: Raposinhos Crèche and Kids Clubs at Martinhal, Portugal. Best Activity Specialist for Families – Winner: Sunsail. Runner Up: Activities Abroad. Best Adventure Specialist for Families – Winner: Intrepid Travel. Runner Up: Explore Worldwide. Best Family Ski Operator – Winner: Ski Famille. Runner Up: Inghams. Best Tour Operator for Families – Winner: The Turquoise Holiday Company. Runner Up: Sovereign. Best Short-Haul Destination for Families – Winner: Greece. Runner Up: Portugal. Best Long-Haul Destination for Families – Winner: Sri Lanka. Runner Up: Dubai.